Bushy, well-branched habit. 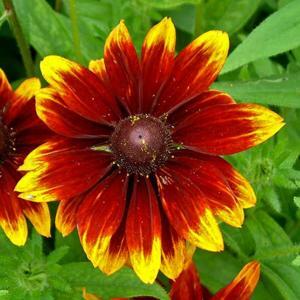 Flowers are shaded from chocolate brown at the centre, through mahogany-maroon to orange-yellow at the petal tips, produced from June to autumn. From seed, sown February to April. Beds and borders. Good for late summer colour.